FROM THE OUTSET, CLARION MAKES A CONFIDENT STATEMENT, WITH ITS ICONIC CONCRETE FAÇADE AND PUNCHED STYLE OPENING – DESIGNED TO REFLECT ALEXANDRIA’S UNIQUE INDUSTRIAL HERITAGE. 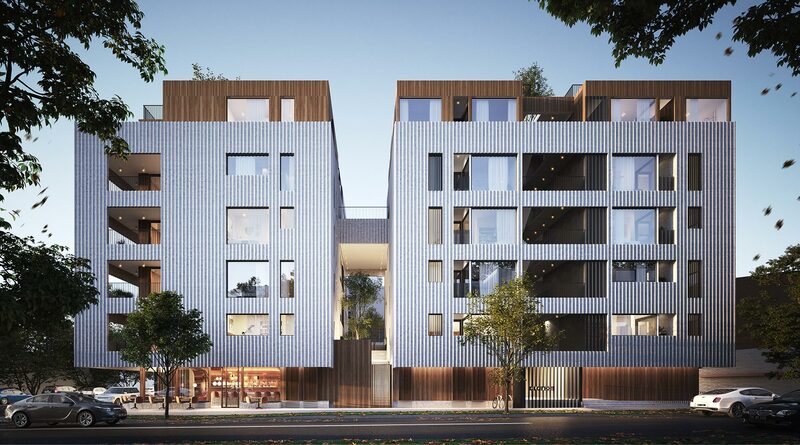 We recognised an amazing opportunity to bring some much-needed understated luxury to Alexandria: the result is 18 bespoke penthouse-style 3-bedroom homes, where every residence has equally generous amounts of space and fine detailing. But instead of flaunting that luxury, it’s refined and powerfully contained like the tenants it’s designed to house. Structurally, we took a tectonic architectural approach. Not unlike the passionfruit with its hard, punched rind and soft, luxurious centre, the idea was to juxtapose the playful textures of a precast concrete exterior with a beautifully sumptuous interior. Environmentally, the building responds to the context of Alexandria’s light industrial heritage – retaining a sense of space and volume in keeping with the warehouse it replaced. How is the building’s exterior unique? It’s far more than an architectural object: it’s a sensory experience. 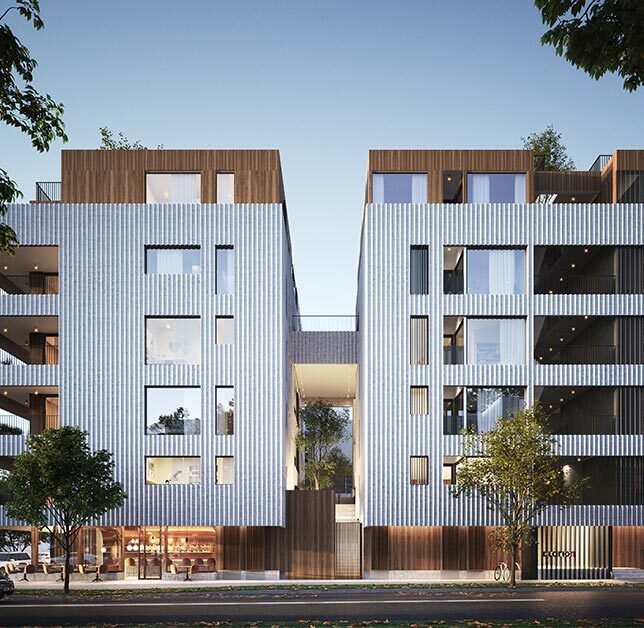 The robust scalloped panels of the façade create a sense of solidity, while the timber cladding evokes feelings of familiarity like that earthy smell when it rains. The punched exterior offers privacy, a quiet retreat from its urban surrounds. And the fluting plays with movement and sculptural qualities, creating depth and a dappled play of light and shadow that changes hourly as the day unfolds.